Home / anchor / brooks brothers / button-downs / Kate Spade / Kiel James Patrick / nautical / sweaters / tommy hilfiger / "Water, water, every where, And all the boards did shrink; Water, water, every where, Nor any drop to drink." "Water, water, every where, And all the boards did shrink; Water, water, every where, Nor any drop to drink." Anchors! Probably my favourite trend for spring. It seems like everywhere you go, there is a distinct nautical theme. 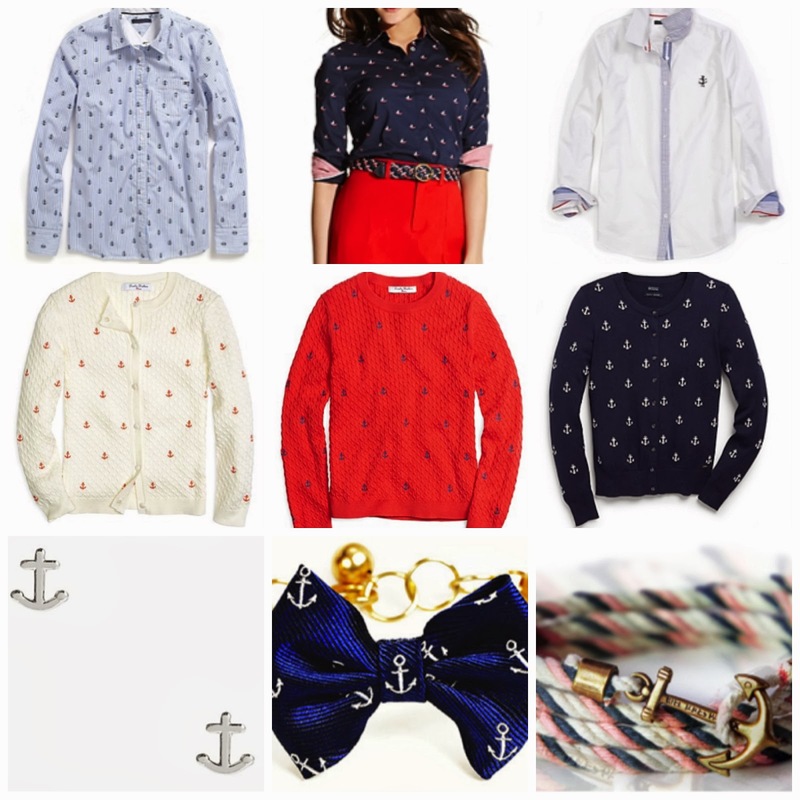 I'm going to need to add some more stripes and boat shoes to my wardrobe, but I'm starting with some anchors! Also, these Tory Burch Flats, this Old Navy Dress, and this Old Navy Button-down!